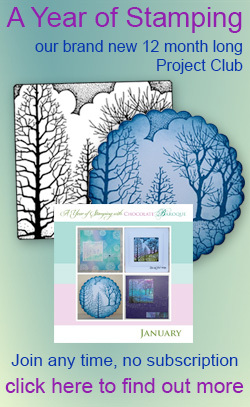 A cling mounted stamp in a choice of two sizes (or multibuy) plus an amazing magazine full of clear photos and step by step projects from the Design Team. 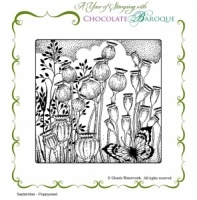 There is loads of inspiration to be found amongst the pages and plenty of ideas for using this month's stamp. 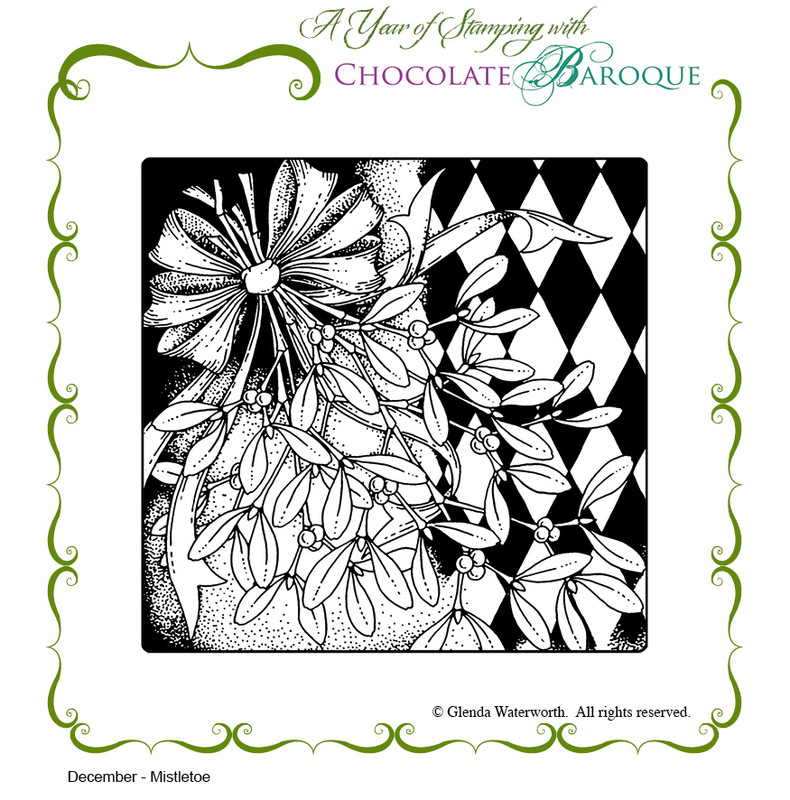 This month's article is about adding the Bling! 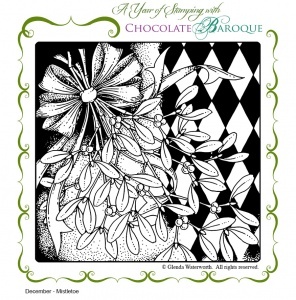 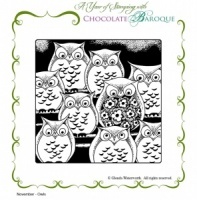 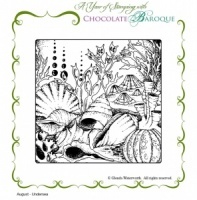 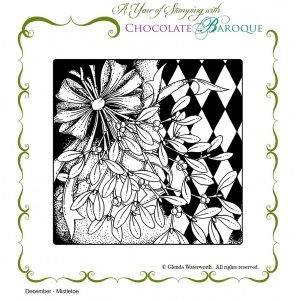 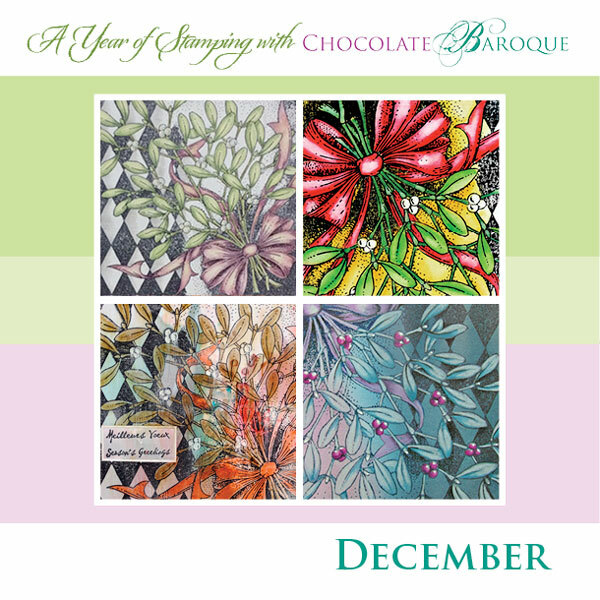 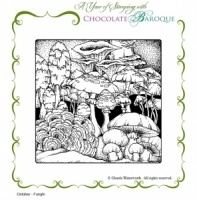 This product is the twelfth and final stamp in this year's project club, A Year of Stamping with Chocolate Baroque - you become a member automatically when you purchase this product. 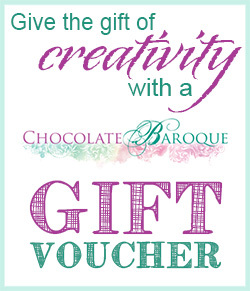 Click here to read more about the project and its benefits. 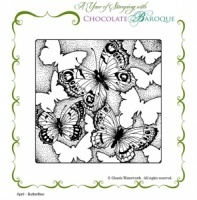 The large stamp measures approximately 14cm square and the small is approximately 8.5cm square. 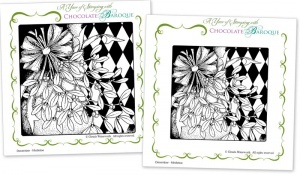 Save money when you buy both.